Designed for all deck and outdoor applications. Plated for outdoor applications. 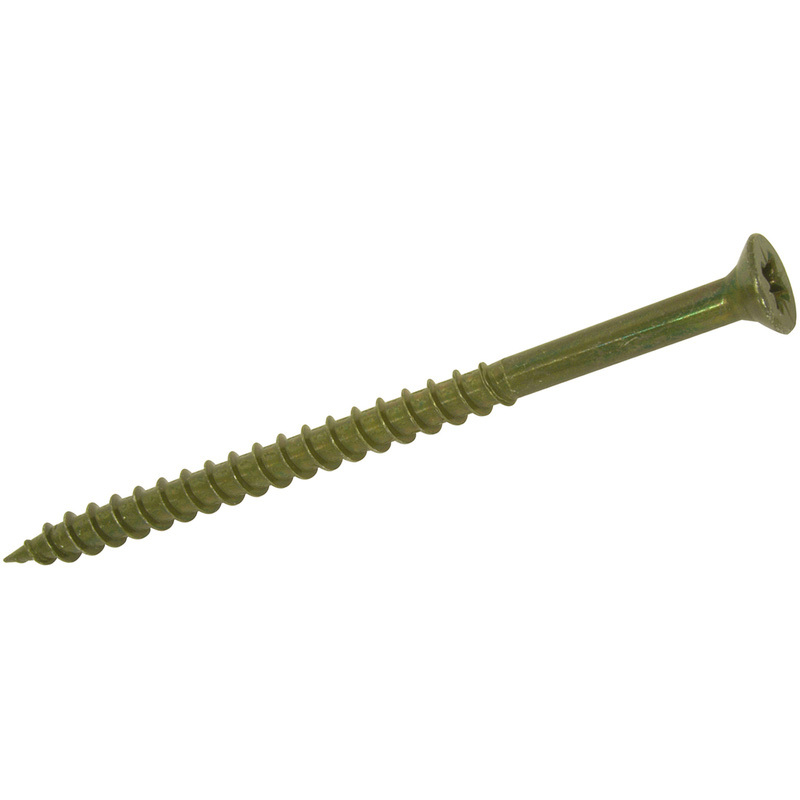 Single Thread Deck & Outdoor Pozi Screw 4.5 x 60mm (200 Pack) is rated 4.5 out of 5 by 46. Rated 5 out of 5 by redken from Great product Superb value for money decking screws. Rated 5 out of 5 by redken from Strong decking screws Good strong,coated decking screws.Much better than the plain galvanised ones. Rated 4 out of 5 by Anonymous from Does what they say! Read some reviews that said the heads strip. I've used over 600 and not one stripped....although when screwing in you can see they're not perfectly straight! Rated 5 out of 5 by Plumbobs from Made for the job Great screws for outdoor use with treated timber. Lasts for years.